Majority of people has been willing to know more about napping. What is a nap? 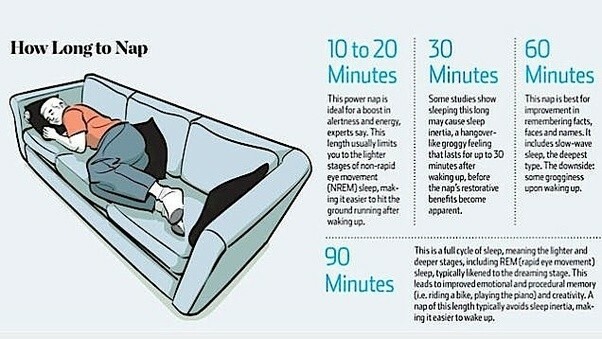 , how does a nap affect our daily activities? To which category of people are affected most? Are there types of naps? These questions have been asked severally by majority of people in different diversities. I am willing to take you through all about napping. To begin with, a nap is a short period of sleep usually occurs during the day. Maybe at work place, during traveling long distance journey or during class time. Naps are majorly associated with elderly and young children. Napping is generally accepted in environment with hot climates during a normal day. Napping is a behavior which is generally accepted in some parts of Africa, China and many countries in Mediterranean. Scientist has advised people to get seven to eight hours of sleep per night. less sleep can cause memory loss, heart problems and it can also mess with your moods. Similarly, oversleeping can cause heart diseases, obesity, depression and more prone to stroke. It is very important to balance between the two. Here are the things you should know if you need a nap. According to research which has been conducted, it has not been clearly stated whether depression is a sign of oversleeping or oversleeping is a sign of depression. Majority of people get depressed because of, loss of interest in your hobby, relationships problems, loss of jobs, working for long hours and probably loss of your loved ones. It becomes so much important to take a nap, since its going to reduce your depression and refresh your mind from long working hours. Enough sleep should guarantee you to feel refreshed in the morning. But you will find majority of people waking up feeling tired, this can be as a result of sleeping on old beddings or having a bad habit sleeping position. For this reason your work performance can degrade, majority will not be able to perform their activities. 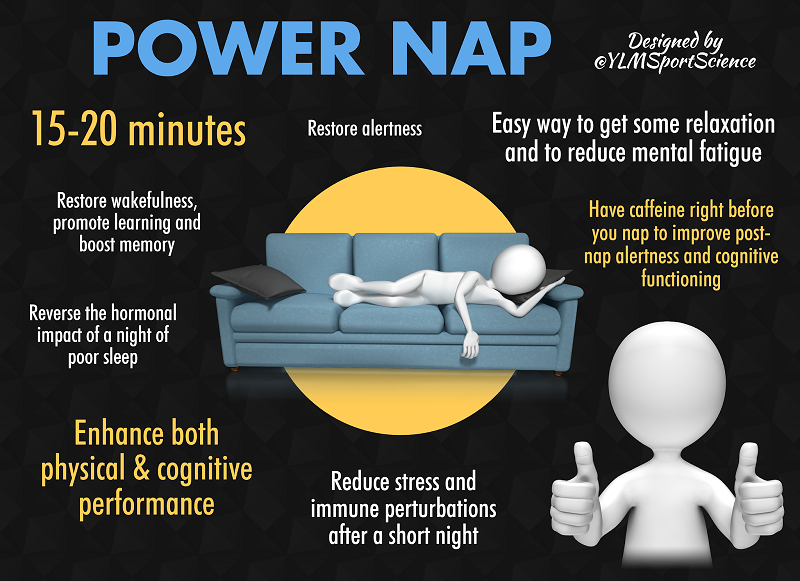 It become paramount to have a nap, these will help you to relief tiredness; hence will improve your work performance. Headache usually occurs in any part of the head, on one location or just on both sides of the head. Headache is mainly caused by overactive difficulties and problems one faces. These will cause pain in your vessels, muscles and nerves, which are found in your head. Tension headache are most common type of headache, these types of headaches starts slowly and develops onwards. The most common way of treating headache is to take a nap; this will not only rest your memory but reduce tension. There are other methods of treating headache such as taking pain relief medication. Why do you think majority of people experience brain fog? Most of them haven’t had adequate sleep. I can’t believe how many times I forgot my car’s keys in my office. Some of these experiences may be brought about by lack of enough sleep. It becomes a matter of importance at least to take a nap. This will help your mind to digest information and create room for remembrance of other important things. There is nothing wrong with little increase in weight, but if you find you are increasing drastically it becomes a thing to worry about. Have you ever wondered why majority who are obese have excessive sleep? They become obese since they sleep a lot. It is advisable to have minimal sleep so as to reduce obesity napping will control your appetite hormones and one will be on diet. This is a type of nap are short, it occurs involuntary. It usually last from a fraction of a second to a maximum of thirty seconds. It is generally caused by mental fatigue and lack of enough sleep. You will start to nod and drooping of eyelids, the victim will be completely unaware of sleep. This type of napping generally occurs without warning, it can be so dangerous in situation which requires maximum attention such as when operating a machine and driving a vehicle. This type of nap involves taking regular short naps. For example one can take 10 minute naps after every 3 hours. Most serious researchers have concluded that this practice is healthful both psychologically and physically. Your brain will be able to rest and your performance will be excellent. Up to this point I know you have learnt a lot concerning napping, napping restores activeness, and increases productivity. Also, it can be used as a sort of micro-vacation. No wonder you will find places of sleep in big companies for employees to sleep. You should try your best to limit your naps between 15-30 minutes per day, during mid-afternoon. Otherwise, if you try to extend you will disarrange your sleep pattern. Don’t forget, have a consideration of a memory foam mattress. 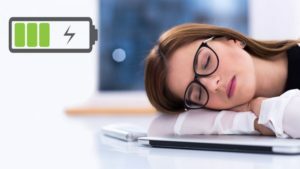 Thanks for posting this awesome article on power naps. I’m slowly learning how to power nap and save time. I picked up a couple of tips from this article too. Cheers!